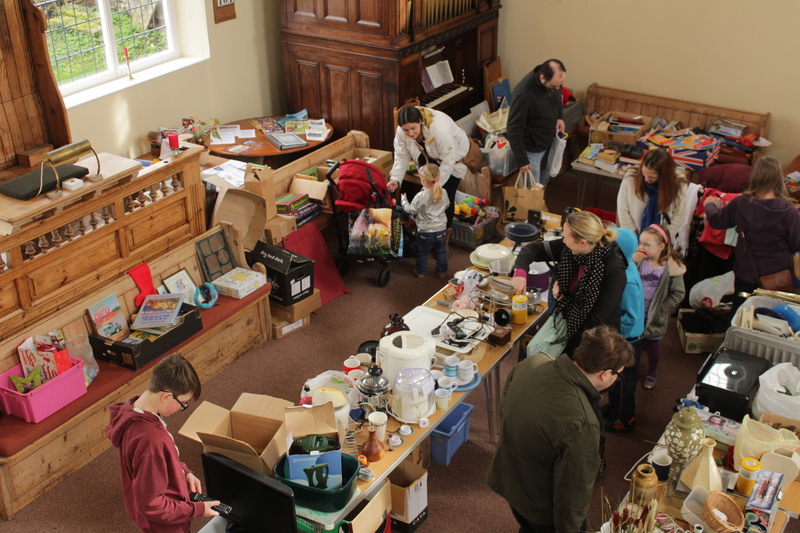 Start sorting out the things you might want to swap or have mended ready for the event. 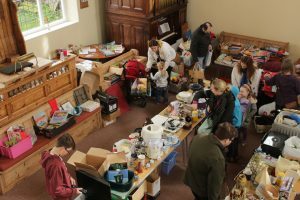 Last time we counted there were over three hundred people coming along and huge amounts of ‘stuff’ that would have gone to landfill was re – homed. If you have nothing to swap then come along anyway and take what you want, giving Greener Fram a donation. We are funded only by your donations. We also provide free fairtrade tea and coffee, and usually cakes as well. Come and take part. You might just find that item you didn’t know you wanted and when you get fed up with bring it along to another Swap and Mend and swap it for something else. We mend items. Bring something along and rather than throw it away get it mended. Our volunteers give their time for free and Greener Fram funds the materials. All it costs you is a donation to cover costs. 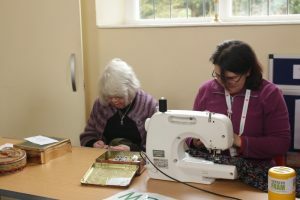 Swap and Mend is organised by Greener Fram your local transition group. Come and find out what that is all about. Film ‘Tomorrow’ showing on Monday 24th April. electronics and kitchen equipment. 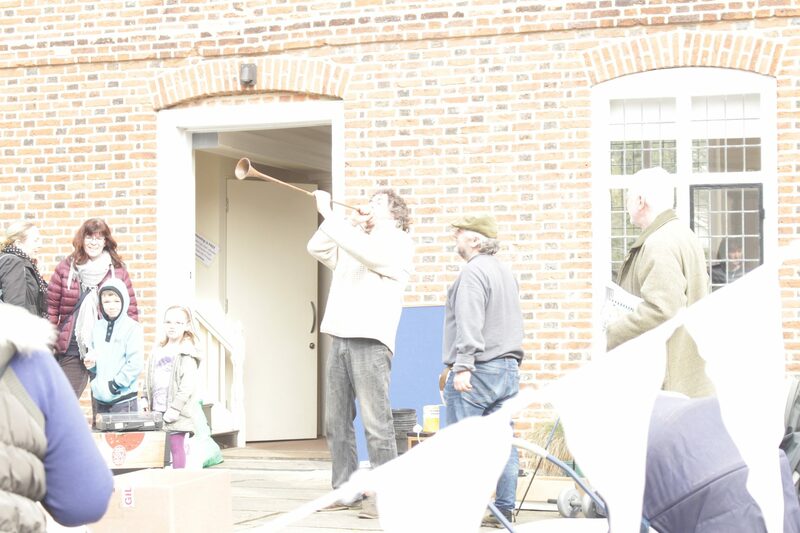 This month we had at least 4 lawnmowers, a nearly new TV and a hunting horn. Even if you don’t think you need anything, everyone loves to rummage and I challenge you to not leave empty-handed. Jean and Rachel are our lovely sewing ladies who can mend and alter clothes so you don’t need to throw out your old favourites. Spadge and John can mend bicycles, electronics and electrical items. We also gained 2 new mending volunteers, both called Keith! Thanks to all our volunteers who work hard to set up and clear away each month, and to all our ‘customers’ who generously donate goods and money. 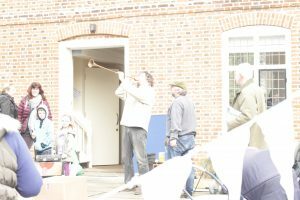 Thanks for coming to the Swap or Mend on Saturday 19th September at the Unitarian Meeting House (next to the library) in Framlingham. Check this site for future dates of Swap or Mends after our AGM on Saturday 17th October.